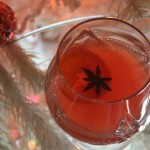 Is this Holiday Punch Spiked or Was 2010 a Year of Hope? Looking back on 2010, I see a year of hope and success, enthusiasm and ingenuity, and a renewed vision for book publishing around the world. As a literary agent, this year has been challenging: books that would’ve sold three years ago are being roundly passed on (“I like it, I don’t love it”), the midlist is disappearing, commercial fiction is selling more in e-book than in hardcover (which cuts into sales projections and royalties) and platform is sometimes being valued over content. And, yet, amid all of that tumult, I am hopeful. I see editors being more inventive and entrepreneurial. I see writers being more proactive about building their careers. I see agents being more involved in the publishing process and, some, even helping writers and publishers navigate new technologies and marketing strategies. 1) Fearless Publishers: It’s a scary time to publish, but some publishers are taking chances in what and how they publish (Otto Penzler/Mysterious Press, Mischief + Mayhem, OR Books), the ways they’re buying and promoting their titles (Vanguard Press and the now defunct HarperStudio), and seeking new readers outside of the traditional locations and methods (there are too many publishers to name here, but you know who you are). It’s scary, but that’s how we’ll find our readers and inspire great writers and chart this new path for the future of publishing. Kudos and keep it up! 2) Brilliant Novelists: It is because of brilliant storytelling that I moved to New York and got a job in this industry. No matter what trials and tribulations we go through, I will always boil everything down to the great joy I get in reading amazing novels or short stories for the first time. To all the writers I admire and love already (some with new books: Anthony Doerr, Rebecca Chace, Jennifer Gilmore; and some whose galleys I read: Meg Wolitzer, Colm Toibin) to all of the ones I’m just getting to know through their work or through my working with them (Emma Donoghue, David Goodman, David Schmahmann, Jacqueline Woodson), thank you! Without you, none of what we do would matter. 3) New Technology: I love that reading just got easier for some people. Look, I have a busy life. I don’t always get to run to the bookstore when I want to buy something. And, I don’t always have the luxury of waiting for a few days for it to arrive in the mail. That is what I see with the onset of digital publishing in all its formats and platforms. I can say “Hrm, I haven’t read that. I’d like to buy it right now and take a look.” Then, I turn on my digital device, find the book, download in a couple of minutes, and read instantly. Bam. I’ve probably read (and, more importantly, bought) twice as many books this year as last year . . . and I like it. 4) Optimists: Is there a difference between predicting an outcome and creating a self-fulfilling prophecy? Yes. So, Media, just stop yammering on about the so-called demise of publishing. This story is almost as bad as the bed bug story. People will always read and, in our lifetime, people will probably still want paper books. We just need to find those buyers/readers and we need to publish better books more efficiently. I hate to tell you this, but if publishing is killed, you publishing reporters will be out of work, too. 5) Picked Brains: I can’t tell you how many times this year that I sent people emails saying “Hey, can I pick your brain about something?” Whether it was about film publicity or enhanced e-books, web design or SEO, contact information for a writer or advice on how to deal with a difficult media situation, many, many people have been so thoughtful with their time and experience and I hope that I can return the favor one day. Thank you ALL for being so amazing and supportive. I have loved working with and knowing you. 6) Mentors: I am lucky in what I do because I work with brilliant people in all the aspects of my work — from Rob Weisbach Creative Management to Publishing Perspectives, The New Yorker and The Daily Beast to the Frankfurt Book Fair, not to mention all of the brilliant authors I agent and publicize. But, what I really am thankful for are the men and women who have mentored and supported me throughout the years. Without those people who support you through thick and thin, who guide you through those tough times and hiccups in your path to success, you cannot thrive. For the last year and a half, I have been so fortunate to be working with a true visionary who also happens to be the most supportive colleague, collaborator, mentor, and friend. If you don’t know Rob Weisbach, you should. From my experience, your life is infinitely better simply from having known him. 7) Candy and Booze: Okay, that’s sort of a joke, but I do rely heavily on caffeine, sugar (I always have Dots and some kind of chocolate on hand), and liquor (bourbon, mostly) to keep my sense of humor . . . whatever your vice, it’s always good to know what keeps you sane! And, with that, I shall end my list. Thank you, publishing, for another amazing year. I look forward to what 2011 dishes up! Erin L. Cox is Publishing Perspectives’ Director of Business Development and a Senior Associate at Rob Weisbach Creative Management where she represents writers and handles publicity and advertising clients. DISCUSS: What are You Thankful for in Publishing 2010?